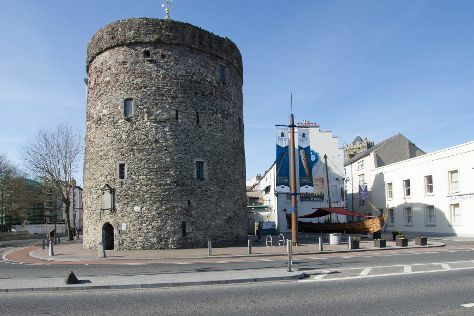 Kick off your visit on the 9th (Fri): explore the historical opulence of Kilkenny Castle, see the interesting displays at Reginald's Tower, then see the interesting displays at Waterford Treasures Medieval Museum, and finally admire the striking features of Bishop's Palace. Get ready for a full day of sightseeing on the 10th (Sat): admire the natural beauty at Rothe House and Garden, sample the tasty concoctions at Smithwick's Experience Kilkenny, then contemplate in the serene atmosphere at St. Canice's Cathedral & Round Tower, and finally play a few rounds at Mount Juliet Estate. To find more things to do, maps, and other tourist information, read Kilkenny online itinerary creator. Use the Route module to find suitable travel options from Dusseldorf, Germany to Kilkenny. Due to the time zone difference, you'll gain 1 hour traveling from Dusseldorf to Kilkenny. Traveling from Dusseldorf in December, plan for a bit warmer nights in Kilkenny, with lows around 5°C. Finish up your sightseeing early on the 10th (Sat) so you can go by car to Dublin. Kick off your visit on the 11th (Sun): wander the streets of Temple Bar, sample the tasty concoctions at Guinness Storehouse, and then explore the galleries of Kilmainham Gaol. To find more things to do, traveler tips, and other tourist information, refer to the Dublin vacation planner. You can drive from Kilkenny to Dublin in 1.5 hours. Other options are to take a bus; or take a train. Traveling from Kilkenny in December, expect a bit cooler with lows of 2°C in Dublin. Wrap up your sightseeing on the 11th (Sun) to allow time to fly back home.